Umhlanga and Sibaya will also be among the province’s development hot spots. FWJK Developments will focus on the development of office blocks in the Umhlanga area, with further industrial mini factory development on the northern node, says chief executive Dave Williams-Jones. The company will also undertake a new residential development in Umhlanga. 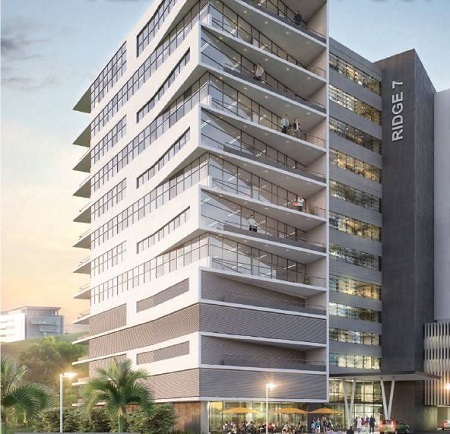 Ridge 8 office block at Ridgeside Office Estate in Umhlanga and a mini-factory development at Cornubia. Agreeing that the northern corridor will continue to be a hive of development this year, Yianni Pavlou, company principal at Portfolio Property Investments, says many projects were launched last year , including in Gateway, Cornubia, Ballito, and Umhlanga Ridge. The focus will be to complete these this year. “I am aware of more launches in these nodes and hopefully some action in the Dube Trade Port area which will trigger a variety of development opportunities. “We have secured good mandates in these nodes and are excited about the quality of developments being proposed.” Pavlou says the hot growthnodes will be the Sibaya precinct and Umhlanga Ridge with pockets of industrial and commercial developments in Hammarsdale, Cornubia and South Durban Basin. And he believes there will be a focus on turnaround and redevelopment projects in the Durban CBD and its periphery. The Umhlanga node is fast becoming a booming destination with many blue-chip tenants moving there, says Strathmore Commercial Industrial Properties’ area specialist Andrew Neal. Another drawcard for commercial tenants is the completion of the N2 / M41 interchange to “drastically improve” traffic flow and increase the accessibility of areas such as Cornubia and Mount Edgecombe. The proposed GO! Durban terminal in New Town – set to provide more reliable transport for tenants and their employees living in surrounding areas – will further attract businesses to Umhlanga.